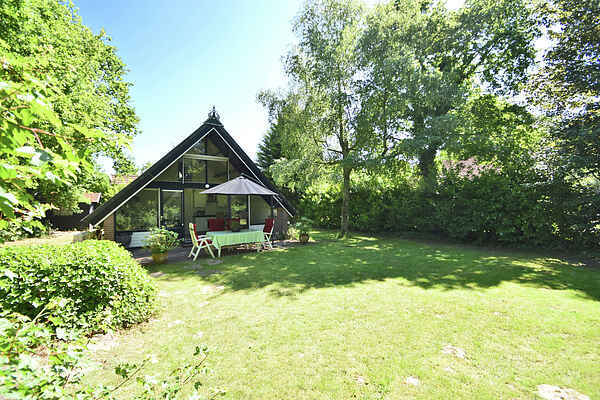 This cosy and compact holiday home is situated in a small and quiet holiday park in the Middelduinen. The holiday home has a lovely seating and dining area with an open-plan kitchen. The room offers a view of the large garden and is totally private. You can enjoy the tranquility here while the children have all the space to play. You reach the bedrooms and bathroom by a steep staircase. Thanks to the charming and cosy interior the house feels homely. The home is situated in a small holiday park in the middle of the Middelduinen, a wonderful cycling area and at walking distance from the beach. The family seaside resort of Ouddorp is famous for its wide beaches and lovely countryside. Close to the holiday home there is a goat farm, which is worth a visit. In short, an ideal location if you are looking for tranquility, space and nature.